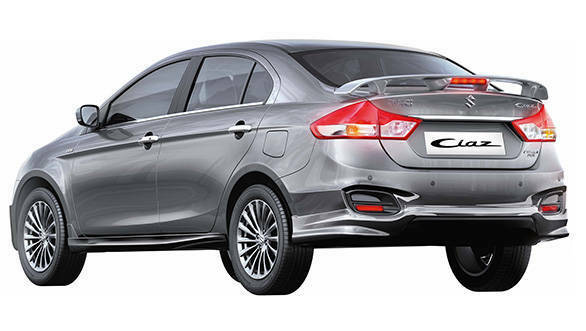 Maruti Suzuki have launched a racier-looking version of the Ciaz in India at Rs 9.20 lakh, ex-Delhi. The diesel trim in the meanwhile is priced about a lakh more than the petrol at Rs 10.28 lakh. 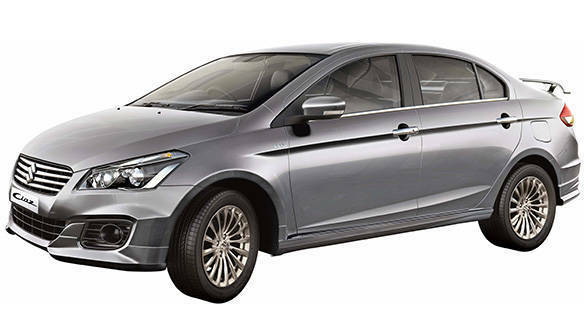 The new Maruti Ciaz RS while based on the regular Z+ trims get body kit in the form of a underbody front and rear spoiler, spoiler on the trunk and side skirts. Inside, there are no changes and the Ciaz continues with its high quality spacious cabin and the SmartPlay infotainment system. There however are no mechanical changes and the Ciaz continues with its 1.4-litre 94PS petrol and 90PS 1.3-litre hybrid diesel. The petrol engine is offered with a 5-speed manual and 4-speed automatic transmission while the diesel is available only with a manual. The Maruti Suzuki Ciaz SHVS is also the country's most fuel efficient diesel sedan with a claimed efficiency of 28.09kmpl. Maruti also offers ABS and dual airbags across the range.